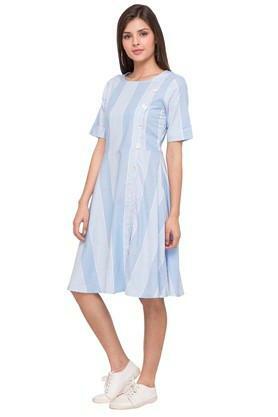 Channel smart looks in your casual wardrobe with this A-line dress from Anita Dongre. This dress is extremely comfortable to wear, courtesy of its good quality fabric. 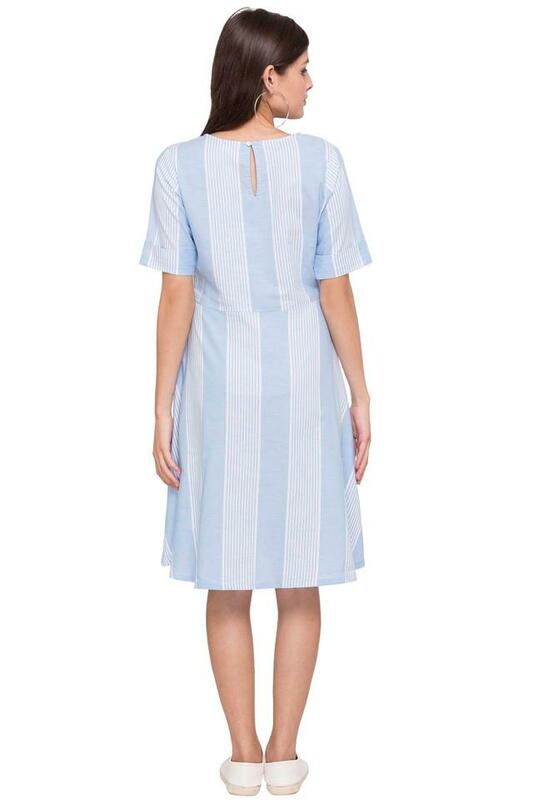 Featuring a striped pattern and round neck, it possesses a stunning panache. Besides, the half sleeves also accentuate its design. 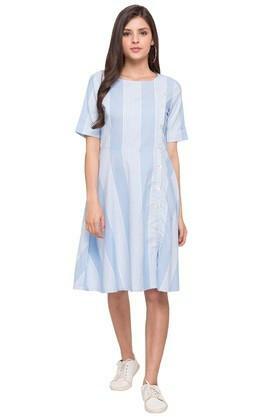 Fall in love with the soft texture as you adorn this A-line dress. Complement this dress by teaming it with a pair of matching sandals.